Be sure to visit Family Caregiver Alliance and Benjamin Rose Institute on Aging at the IAGG World Congress in San Francisco, July 23–27, at exhibit booth 325. Learn more about FCA’s partner project with Benjamin Rose and other projects, including FCA CareJourney. For more information on CareJourney, please join Executive Director Kathleen Kelly for the symposium “Do Online Support Programs Click With Family Caregivers? 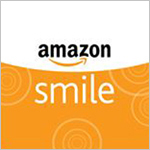 Evaluating Usage and Satisfaction” on Tuesday, July 25, 6 p.m.–7:30 p.m. in Salon 7. The activities around the House and the Senate health care bills, in particular the Senate BCRA, were front and center last month and through July. Even at this writing the second set of revisions on the Senate bill are now on their way to the CBO for scoring. The end result is still more citizens will lose their health insurance and Medicaid will suffer devastating cuts that mean an uncertain future for those with health and long term care needs. With public polling approval for the Senate health bill at 17%, public protests and demonstrations in the offices of Congress and in home districts and with all sectors of the health care system lined up against the bill, one thought comes to mind: And still they persist. And so should we in opposition to this bill. 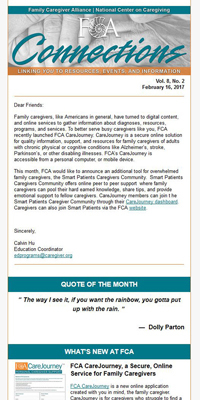 During the coming weeks, as Congress and the country continue debating the future of the Affordable Care Act, fast moving developments will, of course, continue to be reported and analyzed by major media websites, as well as by FCA’s tweets (follow @CaregiverAlly) and the following organizations listed here. Efforts are underway to address a caregiving issue affecting war veterans. VA caregiver services are currently available only for vets injured on or after September 11, 2001. As reported by Joe Davidson in the Washington Post, “under the Program of Comprehensive Assistance for Family Caregivers, service providers for vets injured since the Pentagon and the World Trade Center attacks can get stipends, travel expenses and training among other benefits. VA also monitors the quality of care provided by the caregivers.” The Department of Veterans Affairs, in an open letter signed by 40 organizations, has urged Congress to enact legislation to more equitably and fully empower family caregivers of severely disabled veterans from all wars. Looking at another aspect of transitional care, researchers have found that a home health visit within a week of a discharge from a skilled nursing facility to home “was associated with a reduced hazard of thirty-day hospital readmission; the positive result, however, did not occur when physician visits were measured. The National Academy of Medicine’s report series “Accounting for social risk factors in Medicare payment” as the focus of a daylong discussion that was webcast and is available for online viewing. Speakers delved into various aspects of measuring and reporting social risk factors, and strategies for supporting better outcomes for beneficiaries experiencing such factors. Andis Robeznieks, writing in Hospitals and Health Networks, offers an extensive review of recent discharge planning programs, including highlights of successful efforts in such places as Winston-Salem, North Carolina’s Novant Health and the University of Virginia Health System in Charlottesville Virginia. Robeznieks also credits the positive impact of the AARP-championed CARE Act, as well as discharge planning and transitional care programs evolving out of such initiatives as Project Boost. The Massachusetts eHealth Institute at the Massachusetts Tech Collaborative has issued a research report surveying trends and attitudes of Massachusetts family caregivers regarding the use of digital health solutions to their day-to-day caregiving issues. Key findings include: the most common challenge for caregivers is the time and energy required while trying to balance caregiving with their personal lives and other daily tasks; the most appealing technologies for those home based caregivers are those that can serve as a platform to facilitate peer-to-peer support, provide access to medical research records and resources, and manage tests and time; caregivers surveyed showed little fear or lack of understanding of technology, with 96% reporting they go online daily. This bill establishes the ADRC program to provide assistance to consumers and families on long-term care services and support programs (LTSS). This initiative focuses on improving the access to LTSS and other existing health care programs for elders and people with disabilities. In the event a Long-Term Health Care (LTC) facility were to close and or change their license status that may cause residents to transfer from its facility, this bill will revise the procedures for such circumstances. AB 275 will require that LTC facilities give residents a 60-day notice rather than 30-days to transfer, and propose relocation plans that have been pre-approved by the Department of Public Health. This bill makes technical changes to existing long-term care insurance by ensuring that all long-term care benefits include coverage for institutional care, including care in a nursing home, convalescent facility, extended care facility, custodial care facility, skilled nursing facility, or personal care at home; hospice, or respite care; or community-based coverage, including adult day care. California has sought to protect the rights of lesbian, gay, bisexual, and transgender senior residents. This bill intends to specifically protect LGBT seniors in long-term care facilities by detailing actions that are deemed discriminatory and to make residents fully aware of their rights. Signed into law by the governor, the Kapuna Care Act establishes the Kapuna Caregivers Program to help working family caregivers provide care for their elders living at home. The program will cover up to $70/day for core services, including adult day care, attendant care, home-delivered meals, and transportation. This bill addresses medical assistance for Medicaid beneficiaries by establishing a process to pay for the long-term care provider’s services by applying it to Medicaid assistance through submitting an application for review. The department of human services shall establish a division of elderly affairs (DEA) and the Rhode Island aging and disability resource center (ADCR) to be a part of the Rhode Island long-term care system for elders and people with disabilities. This bill will also require an annual appropriation of $1,000,000 to establish the ADCR in Rhode Island. This act will require the Texas Aging Advisory Committee to develop a study on seniors with visual impairments in collaboration with private entities and organizations that also focus on individuals with visual impairments. The intent of this bill is to determine the growth of the senior population with visual impairments and find recommendations for services to assist this population. The Movement Advancement Project (MAP) and SAGE (Advocacy & Services for LGBT Elders) recently released a report covering issues related to LGBT senior adults. Findings in the report show that discrimination has affected LGBT seniors’ economic security, social connections, and overall health. The Kaiser Family Foundation collected data across the U.S. to understand the significant role Medicaid provides to older Americans. Seniors in the U.S. make up 15% of the population — estimated to be about 47.5 million — and have complex needs for healthcare. A segment on the June 16 PBS News Hour focused on efforts to reduce the impact of what has become called the Post Intensive Care Syndrome or PICS (for an earlier discussion of the syndrome see FCA’s May Policy Digest media watch). The News Hour went to Nashville’s Vanderbilt University Hospital to highlight the nature of the problem and approaches to minimizing its effects. Kaiser Health News analyst Michael McAuliff, looking at the Senate bill crafted under the direction of Majority Leader Mitch McConnell, observed that–given the GOP split on repeal and replace options–McConnell offers a solution: “go ahead and repeal Obamacare, but hide the pain as long as possible.” At least two policy details in the bill, McAuliff observes, may obscure the effects for several years and make the health insurance markets look better almost immediately by giving insurers a more predictable, more lucrative market: first, continued payment for two years of cost-sharing reduction payments to insurance companies on behalf of low income marketplace customers, to cover their out-of-pocket health expenses; and second, a “Short-Term Stabilization Fund” that would also aim to help lower premium costs and could attract a few more insurers into counties that are sparsely covered now. (Cleveland, OH). 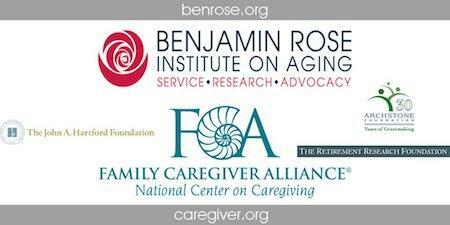 Benjamin Rose Institute on Aging and partners at the Family Caregiver Alliance have begun to develop a web-based resource to help health and social service organizations compare, select and implement evidence-based programs for dementia caregiving. Kathleen Kelly, FCA executive director, has an op-ed published today, July 13, on The Hill. Kelly writes in support of the Credit for Caring Act, which if enacted would offer family caregivers a $3,000 federal tax credit to help offset the growing expenses they often incur caring for a family member. In other related news today, The Hill convened policymakers for an event — The Cost of Caring: Family Caregivers and Tax Reform — to discuss the bi-partisan effort in Congress. You can follow the discussion on Twitter at #CostofCaring. 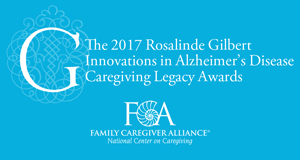 FCA, with support from The Rosalinde and Arthur Gilbert Foundation, is pleased to oversee the 10th annual Rosalinde Gilbert Innovations in Alzheimer’s Disease Caregiving Legacy Awards — now accepting applications until Monday September 11, 2017, 5 p.m. (Pacific Time). The program promotes strengthening caregiving for people with Alzheimer’s disease, and encourages innovation in this field by both recognizing and rewarding the efforts of those who lead the way in addressing the needs of Alzheimer’s disease caregivers. One $20,000 award will be given in each of the following categories: Creative Expression, Diverse/Multicultural Communities, and Policy and Advocacy. View FCA’s online scrapbook of past Caregiving Legacy Award winners 2008–2016.